Money and ticket counters are integral to the operations of any successful casino and can help some business owners revitalize their properties. This is especially the case regarding the reemergence of many of Mississippi's casinos that were damaged during Hurricane Katrina. As USA Today reported in 2005, The Mississippi Gaming Commission shut down 12 casinos operating on the Gulf Coast before the hurricane hit. Mississippi's casino owners are making a comeback, though. According to Gulf Live, the recent opening of Scarlet Pearl Casino in D'iberville has helped earn the Mississippi coast casinos $1.14 billion in gross revenue for the year. This growth indicates the coast's best year since 2008. To add to this story of success, The Sun Herald reported four casino executives recently reunited at the Mississippi Gaming Commission meeting, each now managers of separate casinos. Their combined success is a large indicator of regrowth and a positive outlook for the industry in the region. 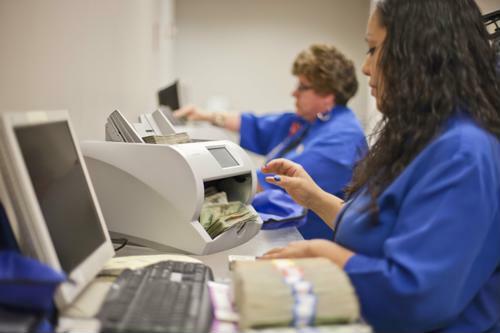 As casino owners along the Mississippi coast work to increase revenue and and gain relevance after the disaster, money and ticket counters are vital to the process. By investing in this technology, casino owners can accommodate increased ticket and currency volume, which translates to more foot traffic overall. Further, money and ticket counters create invaluable efficiencies in an environment that is run almost exclusively on manpower. Employees in casinos are responsible for performing essential duties including card dealing, running table games, delivering beverage and generally offering exceptional customer service to guests. Rather than hiring additional staff or taking workers away from more engaging duties, casino owners can use these machines to automate the process and count tickets quickly. A high-quality money and ticket counter will efficiently handle tickets, cash and checks on the same device, which improves productivity and creates more time for guests to play games. As more casinos rebuild and open along the Gulf Coast, it is imperative that owners invest in the right technologies to keep their costs low and their operations efficient and accurate. Casinos that embrace growth and modern equipment have the best chance of sustaining their success. By using money and ticket counters, casino owners can avoid miscounts, lengthy processing and agitated customers, all of which cut into the bottom lines of these businesses.